Standing on the summit with my foot on the small pile of rocks. Wooly Mule Ear leaves are in the foreground blocking the view of the rocks. 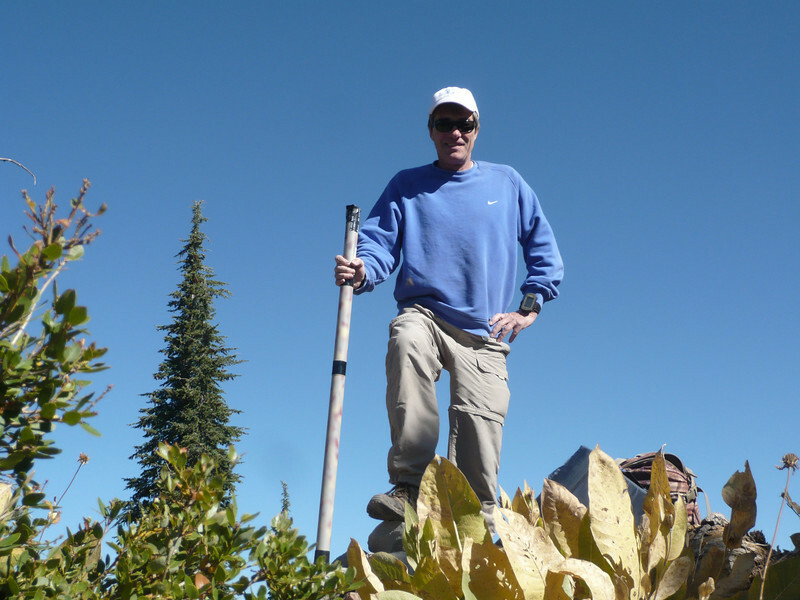 I'm holding my 28-foot Jackite Pole that I brought along because I wasn't sure if there would be high trees on top of the ridge. It turns out that there are plenty of trees, but the wind has wreaked havoc with them as you will see in the pictures that follow.